As some of you might know I had a fellow Kinja-naut Jonee over last week from the USA. And he brought me some excellent goodies, both from France and the USA. 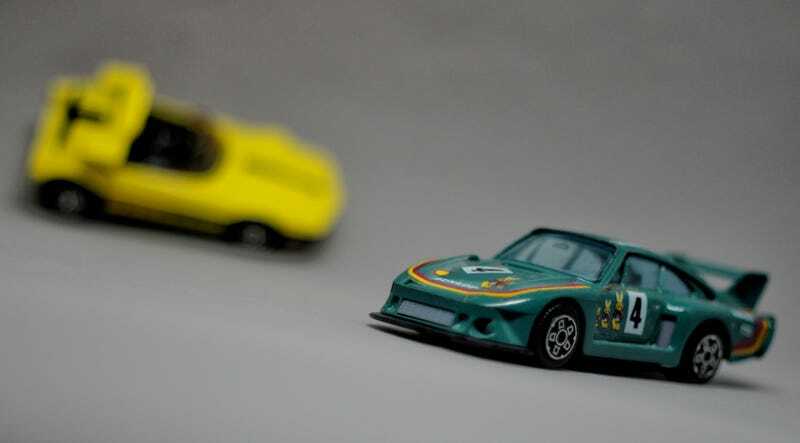 Like this awesome Porsche 935 by Bburago. Awesome as I clearly remember everyone having one. This was confirmed by the other Kinja-naut that came over this weekend: DutchieDC2R with his Integra. We had some planning to do for the next Europpomeet in Wales. And he hadn’t seen the Pao yet so we went for a short spin with that as well. But back to the Teutonic content. It certainly ain’t the best 1/43 ever but the Vaillant livery with those easter bunnies always appealed to me. As did the 935 in general of course, that terrifying über Beetle with it’s gazillion Nm’s of torque and horses. The cameo of the Autobianchi Runabout is there for a reason as that was another RAOK from Jonee from the past. The 935 is well known of course and I could focus a bit more on the drivers of this one. Bob Wollek for instance. Brilliant Bob. A true sportsman as he was preparing for the winter olympics (skiing, both downhill and slalom) when an injury forced him to give up that dream. He already did some rallying during his skiing career but when he stopped with skis he went flat out in motorsport. Thanks to a Shell “scolarship” race he showed quite some people what he was capable of and the same year he was asked for the Le Mans 24 hours. Not by the least. He drove an Alpine A210 that year. But I’m sure I’ll cover more on Bob a next time as I’m running out of time actually. The usual timeframe of my Teutonic Tuesday posts has exceeded by over two hours already. So das war es Heute.